We can go to Qasmoke by magic. 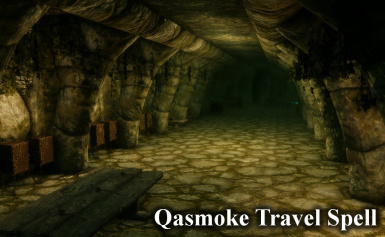 We can go to Qasmoke by magic which added at game start. If on use spell in Qasmoke, we are returned to the previous position.